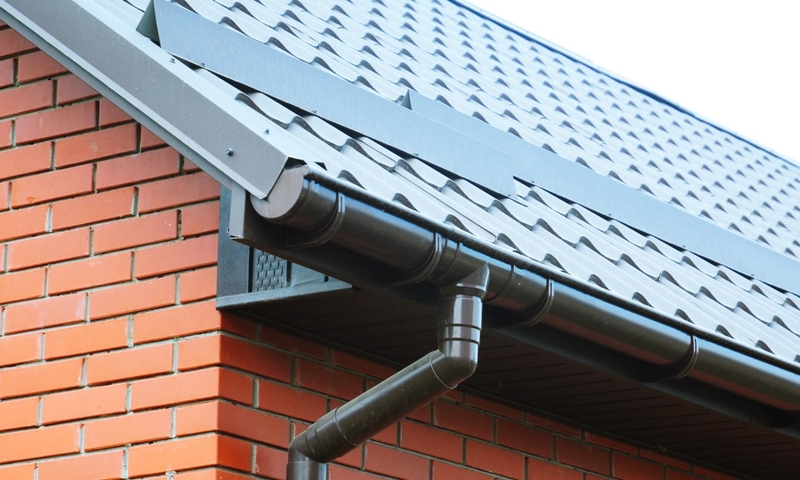 In Need of Gutter and Downspout Installation? Above All Construction employs trained, experienced Kansas City gutter installers for the benefit of our valued customers. We’re always looking for ways to help our customers take care of their home from top to bottom, literally, and the gutters and downspouts are a big part of that. When we work with a home or business owner on their Kansas City gutter installation, it’s our mission to give their property total care and protection! From seamless gutter installation or repair for your home to professional-grade commercial gutter installation that you and your customers can depend on, Above All Construction is it! Roof – When water, ice, and debris are allowed to back up on your roof, they can get underneath the roofing material and cause damage. It’s a lot easier and less expensive to give your gutters the care they need than to wait until they have caused roof damage and repair it all at once! If you’ve ever heard the term ‘ice dam’ when referring to your roof and gutters, you know exactly how damaging this situation can be! Gutters and downspouts that are doing their job correctly will effectively remove moisture of all types from your roof, and all they should ever need is a quick cleaning out. Above All Construction can be your gutter repair contractors from day one, and you’ll never have to face these problems alone! Foundation – If the gutters and downspouts aren’t directing precipitation away from your home, it’s likely to settle around your house. This can cause water damage and leaks all around the foundation and crawl space. If you have a basement, the water damage, mold or mildew growth could extend into this area of your home or business as well, affecting anything you may have stored or displayed there. Effective Kansas City downspout installation will keep the area around your home, including your foundation and even your landscaping, protected from high levels of precipitation. Trust experienced Kansas City gutter installers for your home or business, and you can also prevent these things from becoming expensive, time-consuming restoration projects! Above All Construction is excellent at Kansas City gutter installation because it’s about more than just looking good! We know that residential and commercial gutter installation is something you depend on to protect everything within your home or business, including your beloved family or your loyal customers! Rather than leaving your roof, foundation, and the rest of your home or business to the hands of a less capable team, choose Above All Construction for seamless gutter installation, custom gutters and downspouts, and repairs that will look beautiful and also protect your property from preventable water damage! We’re the only gutter repair contractors you’ll ever need! Please contact us below with information on the work you need completed or call us at this number 913-298-6603 for a quicker response.